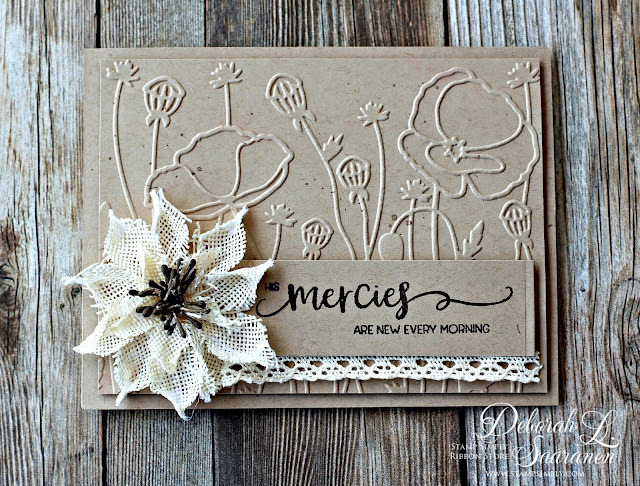 A quick design for today using Stamp Simply Ribbon Store's Farmhouse Series--clear "Farmhouse Scriptural Thoughts" stamp set. The base is created from kraft cardstock, with the decorative panel embossed with Darice's "Poppy Field" embossing folder. I watered down and spattered Tim Holtz Distress "Gathered Twigs" Oxide ink onto the background to add a bit of distressing. The embossed panel was mounted on the card base using Thermoweb 3D Foam strips for dimension. 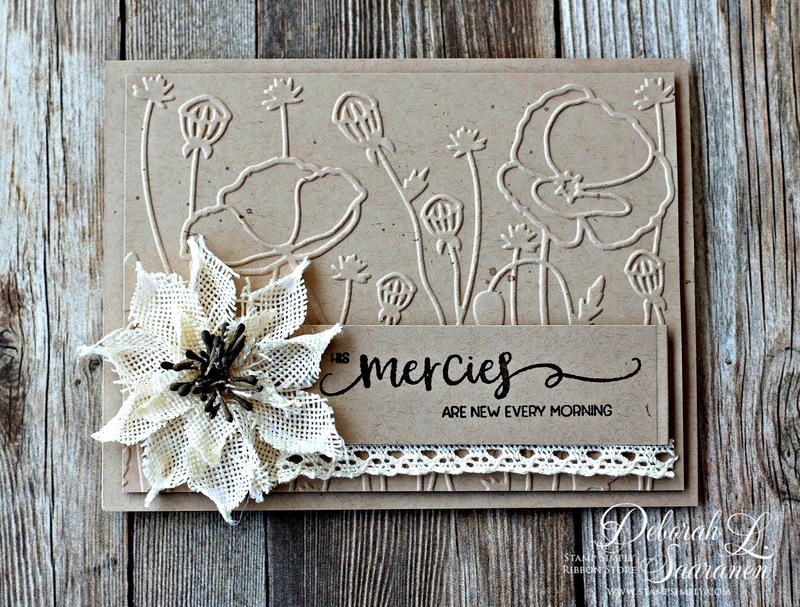 The Farmhouse Scriptural Thought was stamped with Versafine Vintage Sepia ink, then trimmed up with a bit of May Art's 3/8" Crochet Lace at the bottom. It was also attached with a piece of foam strip. A Petaloo Burlap Wild Sunflower was glued to the design using TomBow Mono Multi Liquid Glue.